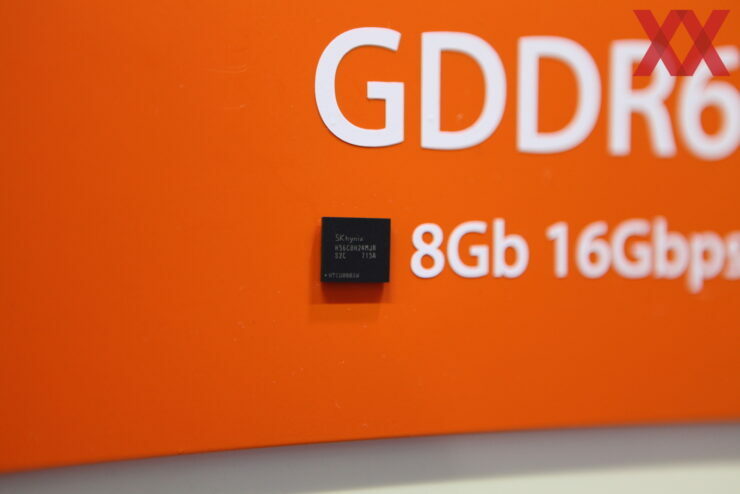 SK Hynix has taken the wraps off their next generation GDDR6 memory technology at NVIDIA’s GTC 2017. The new GDDR6 memory will be used to power NVIDIA’s most advanced GPUs to date, designed with the Volta chip architecture that is due for launch in 2018. 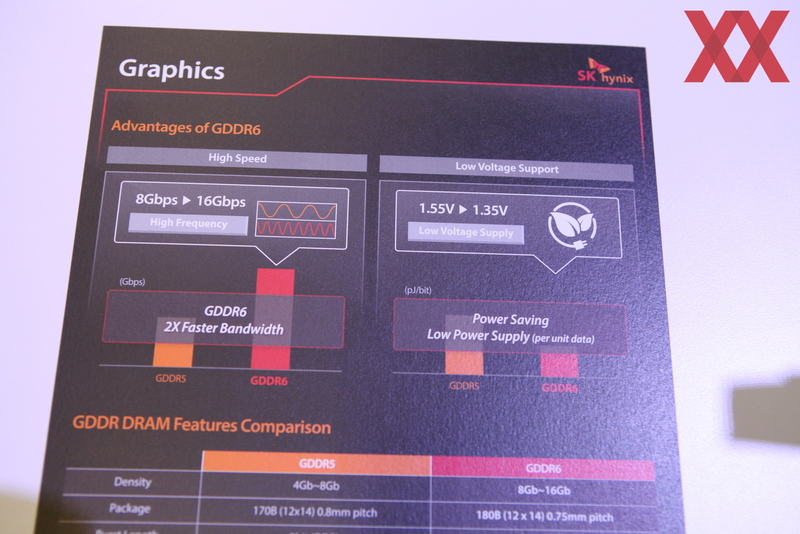 SK Hynix announced the availability of GDDR6 technology for high-end graphics cards just a few weeks back. This week, they are showcasing full fledged wafers of the upcoming memory designed for a range of next-generation graphics chips. Not only is SK Hynix showcasing the new memory dies but they are doing so at NVIDIA’s GTC 2017. This confirms that NVIDIA GPUs will be among the first to leverage from the latest memory architecture. And to top it all, NVIDIA’s CEO, Jen-Hsun Huang, will be talking much about their next-gen Volta GPUs. 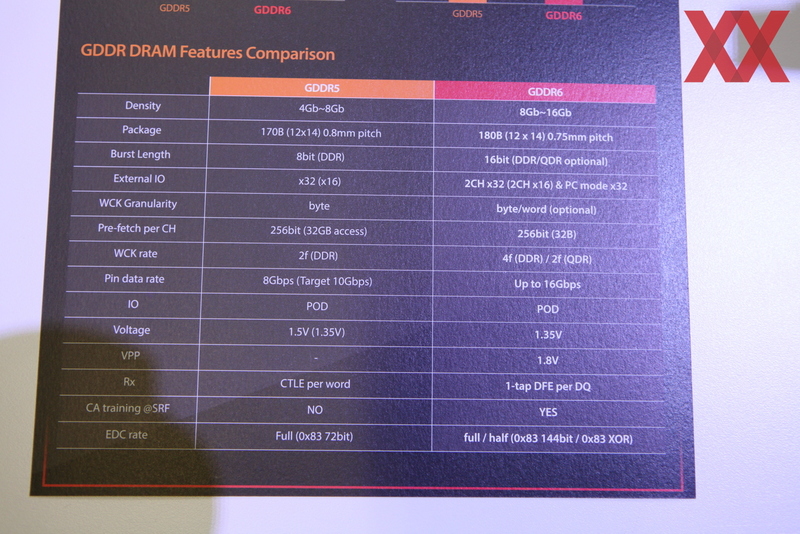 So I guess everything is planned out between NVIDIA and SK Hynix. Coming to the talk, while NVIDIA uses the fastest GDDR5 solution on their cards, known as GDDR5X, they will soon be shifting to GDDR6. 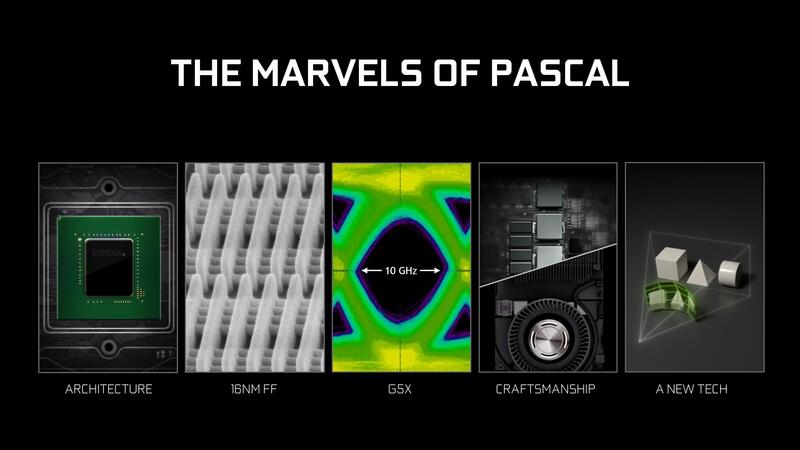 NVIDIA and Micron fine tuned the G5X memory architecture to hit really incredible speeds, topping out the first generation of HBM. With GDDR6, the chip giant plans to top out HBM2, bypassing any production issues associated with the specific memory type. Especially in markets where larger product quantities are required by the masses such as gaming and workstation usage. The GDDR5, GDDR5X memory chips are available in abundance and there’s no bottleneck faced by GPU manufacturing companies. Not only is production easy, but cost of implementing GDDR technology is a big advantage when mass producing mainstream GPUs. This saves cost and time. So coming to the specifications, the first DRAM chip shown by SK Hynix over at GTC 2017 has a capacity of 8 Gb or 1 GB. 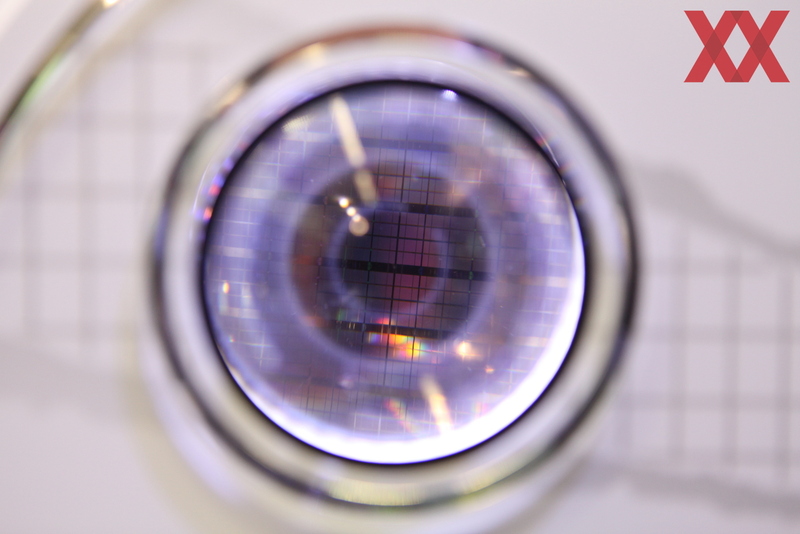 SK Hynix plans to launch denser capacities later on with up to 16 Gb or 2 GB chips in the second half of 2018. Looking at the speeds, we are seeing an incredible jump from 12 Gbps (GDDR5X) to 16 Gbps (GDDR5X). The NVIDIA GeForce GTX TITAN Xp packs the most bandwidth on any consumer GPU to date with a total amount of 547.7 GB/s using 11.4 Gbps GDDR5X chips. The first generation GDDR5X chips were ran at 10 Gbps on the GTX 1080 which was recently upgraded to even faster 11 Gbps DRAM dies. If we compare competitor solution, Fiji, the first graphics card to feature HBM had 512 GB/s bandwidth while the upcoming HBM2 based Vega is said to feature 512 GB/s bandwidth too along with an effective bandwidth and cache sub-system. For comparison, a Volta GPU with a 256-bit wide memory interface using GDDR6 clocked at 16 Gbps transfer speed would result in 512 GB/s bandwidth. A 384-bit Volta chip with similar rated memory chips will feature 768 GB/s bandwidth. Not only would the 256-bit solution be faster, cheaper and easier to produce than first generation HBM based solutions, but the 384-bit solution would be able to topple even HBM2 cards such as those based on current generation Pascal GP100 cores that have 720 GB/s bandwidth. For the folks wondering about efficiency, well the good thing about GDDR6 is that it brings a 10% power saving over current gen GDDR5 memory chips. The new chips feature low voltage of 1.35V compared to 1.55V and have twice the bandwidth. GDDR6 would allow for graphics cards with increased capacities of 16 GB and 24 GB and it looks like gaming enthusiasts will have no problem hitting higher resolutions in their favorite titles. 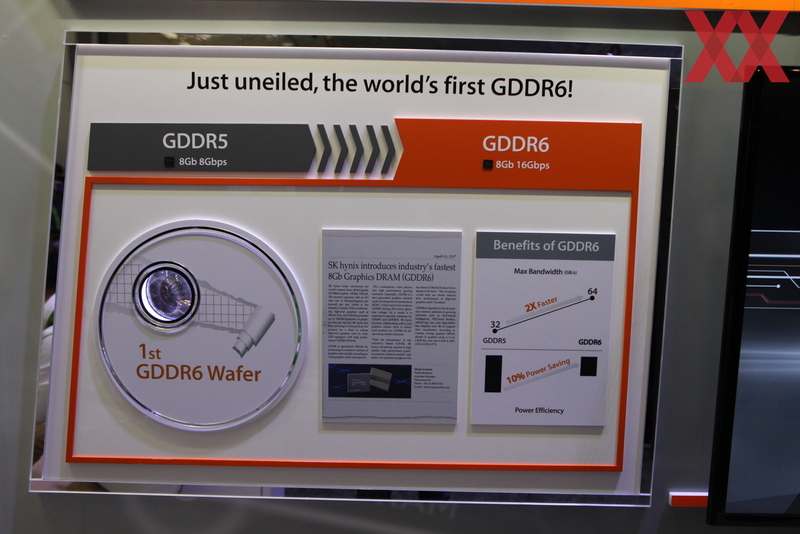 The full coverage on the GDDR6 unveiling at GTC 2017 was posted by HardwareLuxx (via Videocardz).